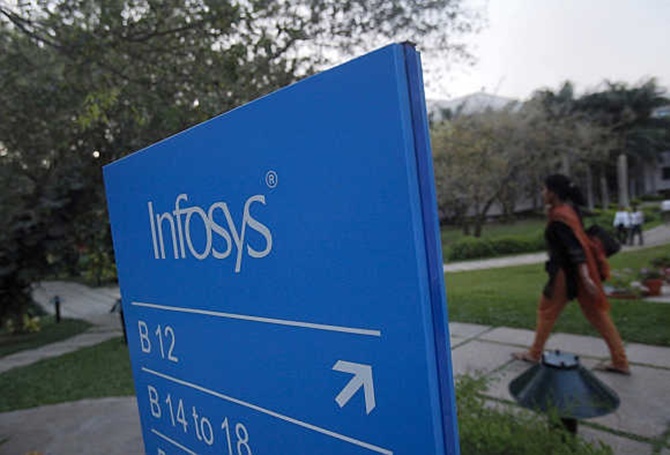 Both Nokia and Infosys are making eager attempts to tackle several issues head on; their experiences have serious lessons for decision makers in many other industries, says Devina Joshi. Author and retired American soccer player Mia Hamm has famously said, It is more difficult to stay on top than to get there. In the current context, who will know this better than two brands that have been in the news a lot lately. Finnish mobile handset major Nokia and the home-grown IT services major Infosys that were at the top of their games before being overwhelmed by competition and a fast changing business environment. Take Nokia. Just three years ago, it was the world’s runaway market leader in mobile phones. At the start of 2010, Nokia commanded a 39 per cent market share of the smartphone segment globally, which plummeted to below 5 per cent in 2013. Its global market share in the overall mobile handset market slipped from 36.4 per cent in 2009 to 28.9 per cent in 2010, and eventually, a mere 14 per cent in 2013. Nokia’s slice of the smartphones market currently 3.1 per cent means that it is ranked ninth in the world in this category. The brands woes led to a takeover by Microsoft this year a move that has, thus far, raised many questions about the prospects of the brands possible revival. 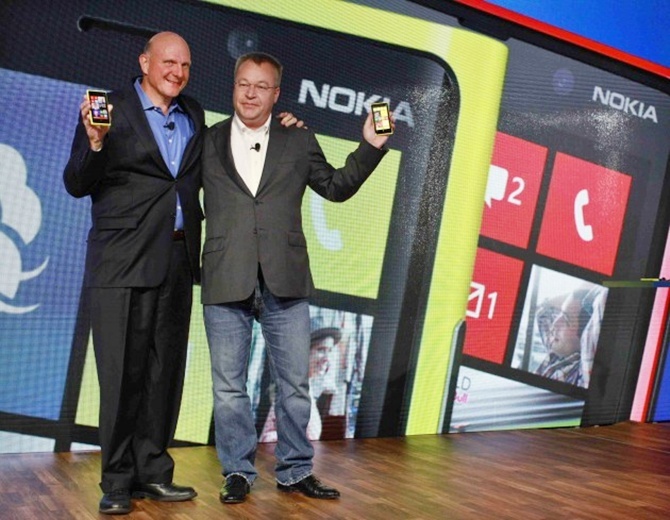 Image: Microsoft CEO Steve Ballmer (L) and Nokia CEO Stephen Elop (R) introduce new Nokia phones with Microsoft's Windows 8 operating system at an event in New York. The 1981-founded Infosys, on the other hand, was the poster boy of Indian IT. The first Indian company to be listed on Nasdaq, Infosys, or Infy as it is popularly called, chose high margins over fast growth, a strategy that has cost it both market capitalisation and market share. Both Nokia and Infosys are making eager attempts to tackle these issues head on; their experiences have serious lessons for decision makers in many other industries. Some of the inferences you could draw from the travails of these two much-admired brands would reiterate what you have learnt in your business school or from management books. This is as good a time as any to remember those lessons. Market leaders benefit the most from status quo. Therefore, under normal conditions, they do not want to change. Their managers have worked to create the dominant position and thus believe that their strategy is correct, leading to complacency, says Siddharth Singh, director, Fellow Programme in Management, and associate professor of Marketing, Indian School of Business. A company must not wait for problems to happen before solving them. Great companies anticipate change and prepare for potential marketplace challenges, he adds. Both Nokia and Infosys can be reprimanded for violating this theory. Nokia never took its competition seriously. It carried on with its Symbian operating system (OS) assuming India will continue to be the Java-based feature phone market that it had gotten used to. But with the advent of 3G, India moved on to smartphones. The masses tend to define the market in this nation, and for these masses Android was the cheaper option. 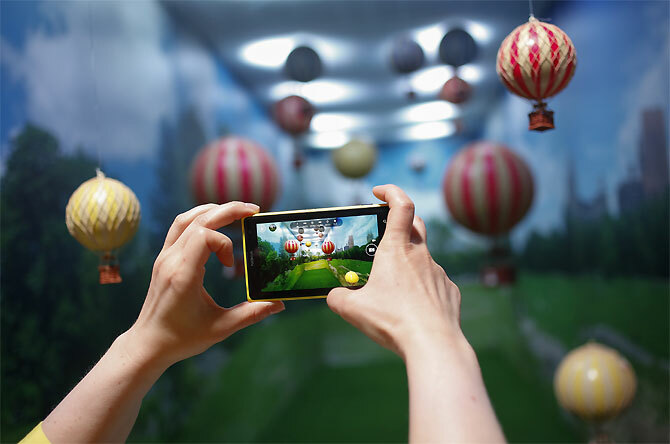 Image: A woman takes pictures with Nokia's smartphone, the Lumia 1020 with a 41-megapixel camera. Nokia made the classic mistake of assuming the mobile market to be hardware driven. With the advancement in technology, the market quickly moved from hardware to one driven by operating systems, and then to apps. Samsung and Google were far more nimble in latching onto this wave. As marketing consultants Al and Laura Ries write in War In the Boardroom, The biggest mistake of logical management types is their failure to see the rise of a new category. They seem to believe that categories are firmly fixed and a new one seldom arises. The history of business is littered with examples of companies that refused to see how the market was changing and adapt accordingly. Sony invented the walkman but allowed Apple and other companies that came into the scene later to walk away with the MP3 player market. Take Kodak. Here was a company that since 1888 was an innovator. However, as pointed out by John Bussey in the The Wall Street Journal, it failed to monetise its most important asset its inventions. The highly lucrative film business sort of paralysed the company until it plunged into the highly mature and competitive printing market. 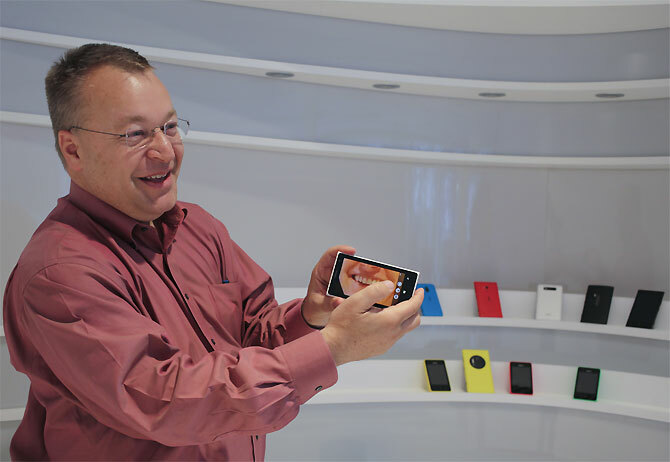 Image: Nokia chief executive Stephen Elop demonstrates the camera technology of the company's high-end smartphone, the Lumia 1020. This obsession with the current way of doing business stops companies from seeing the rise of a totally new category of doing business. So what went wrong with Infosys? Infosys played too safe, and displayed low risk appetite. It focused excessively on its bread and butter application service business even as the market quickly moved onto new technology segements like cloud, mobility, social and analytics. Look where the market is going: Gartner forecasts the overall IT services market will expand 5.2 per cent in 2013 and continue strong growth through 2016. It adds that the growth will largely come from changes and opportunities brought by what it calls a nexus of forces cloud, social, mobile and information and newer delivery models, although not exclusively in the consulting and implementation segments. 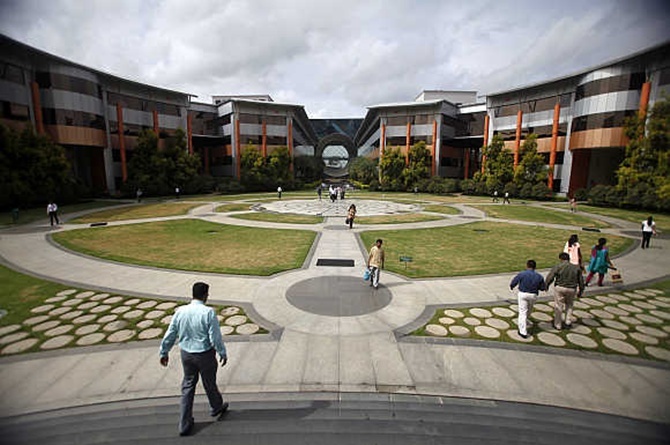 Infosys has another issue: Between June 30, 2000 to December 31, 2012, the employee strength in the company zoomed from 6,445 to 1,55,629. An unwanted fallout of such growth is that organisations lose their entrepreneurial spark besides losing, of course, the ability to adapt, drive for innovation and customer focus. Yes, it took time, but Infosys seems to be reading the signals now. The company now says its aim is to revamp the revenue mix with a heavy focus on driving growth through consulting and products. The objective is to derive 40 per cent of its revenues from consulting and systems integration (it contributed 30 per cent in FY 2013) and 20 per cent from products. And the remaining 40 per cent from the traditional basket of business IT service offerings (it contributed 63 per cent in FY 2013). When a leader has a dominant chunk of the market, it stops competing with itself at some point. To get a sense of how to stay on the ball consider Gillette. It dominated the mens shaving category and kept competition at bay because it stayed two steps ahead like launching three blades in an era of twin blades. It is important to not benchmark against competition, say experts, because when a brand is at the top, it has less to gain and more to lose. The market leader should always behave like a challenger to itself and not in response to competition. Here, it is imperative to dissect Nokias strategy. Analysts say while it innovated with its handsets, Nokia was not smart enough to innovate with network partnerships, that is, bundling its handsets with service providers. The SIM-lock model is a big thing in the US and poses two advantages: people get locked with your handset on the back of the loyalty garnered by a service provider and also the market share goes up with volumes that draw upon the user base of a service provider. Nokia didn’t innovate here very well; even a fellow ailing brand like BlackBerry raced ahead in this game. 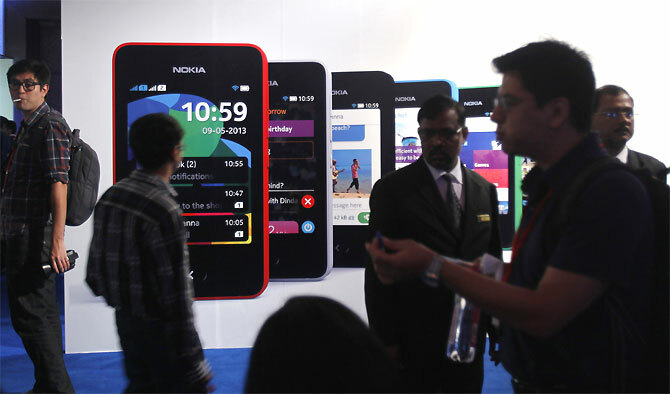 Image: Visitors gather during the unveiling of Nokia's $99 phone in its mid-range Asha line. Another example of not innovating in time is that of not capturing the touch interface revolution. Nokia didn’t react fast it lent the same legacy and navigation seen in its time-worn phones to its touch-based phones. According to Samit Sinha, founder, Alchemist Brand Consulting, Nokia didn’t realise that in the category it was operating, the window of opportunity was getting shorter as technology was moving at a rapid pace. 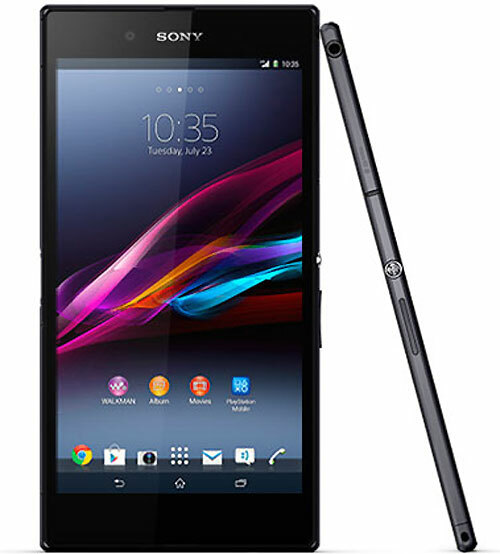 If a handset’s life was three years even until two years ago, it is down to a few months now. Nokia didn’t move fast and launch upgrades to its machines like it is trying to do now. It lost very valuable two-three years in the interim when players like Samsung or even a home-grown Micromax raced ahead. Leaders should continue to embrace change, and where things become too stagnant or flat, should drive change by bringing in change agents, says Rajat Wahi, partner, KPMG India. This is especially true in technology, where companies need to think like venture capitalists and continue to take bets on upcoming technologies which can change the industry they operate in. 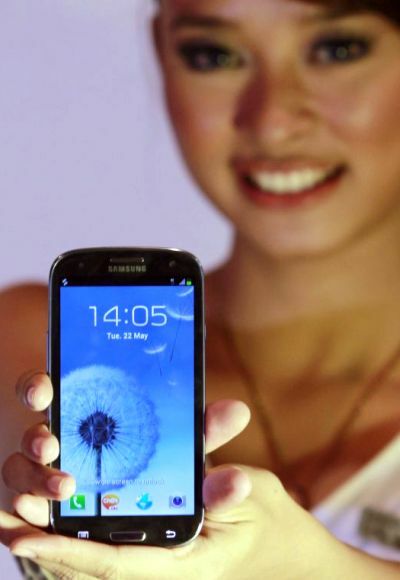 Image: A woman presents the Samsung Galaxy SIII smartphone during its product launch in Jakarta. Nokia has traditionally been Europe-focused; Infosys US-focused. With the global economic turmoil hitting these two markets hard, the fortunes of these two companies also took a beating. One must understand that all markets are not the same. One cant use broad strokes in decision-making, says Sanchit Vir Gogia, founder and group CEO, Greyhound Knowledge Group. Vendor Management Professionals Blog, makes a very interesting assessment of Infosys predicament. She says what Infosys needs now is growth outside of the core. Despite the heavy focus on driving growth across the service lines, the company still remains heavily dependent on the US market, which accounts for almost two-thirds of total revenues. More needs to be done to find growth in emerging markets in APAC, MEA and parts of Europe where the technology markets are witnessing rapid growth, she writes. The company needs to make more investment to develop sales channels across emerging markets to drive growth. 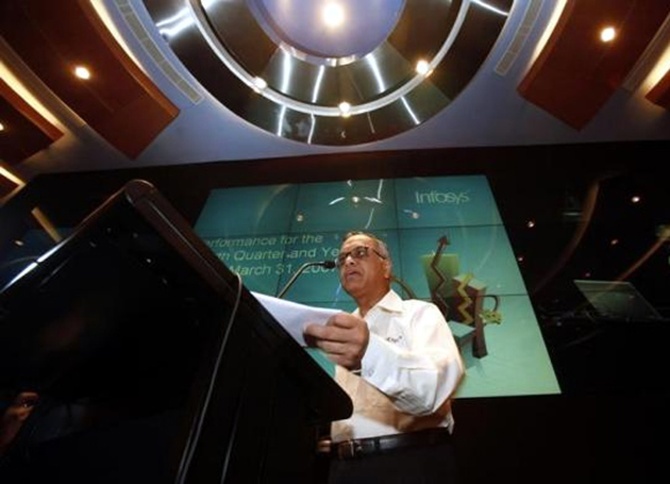 I wouldn’t say Infosys missed out on the India boat but it just didnt grow the business too aggressively, Gogia opines. For the quarter ended September this year, India accounted for 2.4 per cent of Infosys’s overall revenue of Rs 12,965 crore. The figure tells the story. 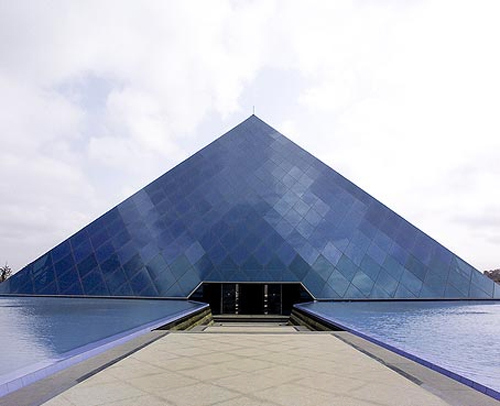 Infosys, which started focusing on the India market after launching a separate business unit in 2008, derives 80-85 per cent of its India revenue from the government sector. In fact, in the past couple of years, growth in IT spending in India was largely driven by the government. 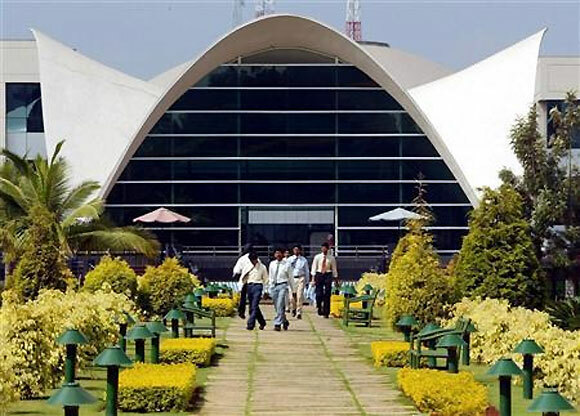 Currently, Infosys is engaged in about 20 central and state government projects. In the private sector, the company has eight-10 active clients, including Bharti Airtel, as well as a couple of large business conglomerates with interests in telecom, retail and manufacturing segments. Of course, a lot of the problems before these two giants are not of their own making they have been exacerbated by the protracted global economic slowdown. This time its different. In economic history, there has never been a downturn without a subsequent recovery. Indeed, downturns create tremendous pressure on companies to deviate from their strategy, says Raveendra Chittoor, assistant professor of Strategy, IndianSchool of Business. Smart companies, however, do not succumb to this pressure. They actually leverage downturns as an opportunity to shake off any complacency, to cut out flab through value engineering and to embark on path breaking trajectories. Both Infosys and Nokia need to seize the moment. Nokia was the largest seller of mobile phones in the world until Samsung overtook it in 2012. Despite being the largest player in the market, Nokia did not see the rise of smartphones, writes Vivek Kaul. Companies like human beings have a limited lifespan. Professor Richard Foster of the YaleUniversity estimates that the average lifespan of a company listed in the S&P 500 in the United States is only around 15 years now. This has fallen from around 67 years in the 1920s. Why has the lifespan of companies shortened so dramatically in the last 100 years? The most recent example of this phenomenon is Nokia. The company was the largest seller of mobile phones in the world until Samsung overtook it in 2012. 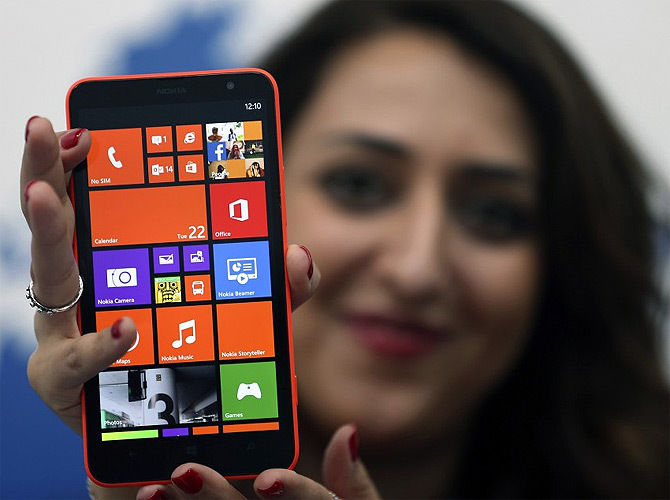 Despite being the largest player in the market, Nokia did not see the rise of smartphones. This lack of foresight allowed brands like Micromax and Karbonn to rise in the Indian market. Nokia's failure is not surprising given that the history of business is littered with many such examples. RCA, the US' leading radio company, did not see the rise of battery-powered pocket transistors which were first made by Sony in 1955. 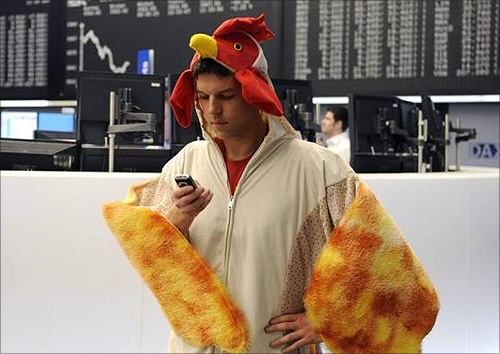 Image: A stock trader dressed as a chicken stands on the trading floor at the German stock exchange in Frankfurt. Some of the biggest minicomputer companies did not see the rise of the personal computer. None of the big airline companies around the world thought there was a market for low-cost airlines, until Southwest Airlines walked away with the market. 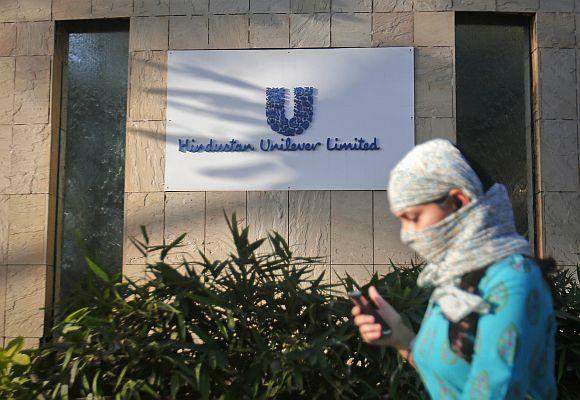 Back home, Hindustan Unilever did not believe that there was a market for a low-cost detergent. Nirma captured that market, though to its credit HUL fought back brilliantly with its Wheel brand. Bharti Beetel changed the entire landline market in India by selling phones which had buttons on them. But by the time it entered the mobile phone market it was too late. So why do established companies fail to see the rise of a new category? Clayton Christensen, a professor at the HarvardBusinessSchool, has offered an explanation for this, in the research that he has done over the years. Established companies have a way of doing things (their existing resources, processes, profit model, value proposition they offer and so on). Anything new that comes along threatens that status quo. Take the case of Sony. The rise of digital music threatened the vast music catalogue that the company owned. And if it launched a digital music player, people would simply copy music instead of buying it. What also happens at times is that the initial market is too small. Smartphones have been around since the late 1990s but they only took off in the last few years. This ensured that Nokia did not take the new category too seriously because there was money to be made elsewhere. Christensen feels that the only way big companies can be serious about the rise of new categories is to create a separate organisation within the organisation. He gives the example of IBM, which was the only big company around to benefit from the rise of the personal computers (PCs). IBM set up a separate organisation in Florida, with the mission to create and sell PCs. The organisation had its own engineers and its own sales channel, and thus did not threaten IBM's existing way of doing things. When minicomputers went totally out of fashion in the late 1980s, IBM was the only big company around to compete in the PC market. The moral of the story is that big companies, in order to survive, need to keep making small bets, which are not a part of the existing organisational set up, and see what works. Vivek Kaul is Author of Easy Money. 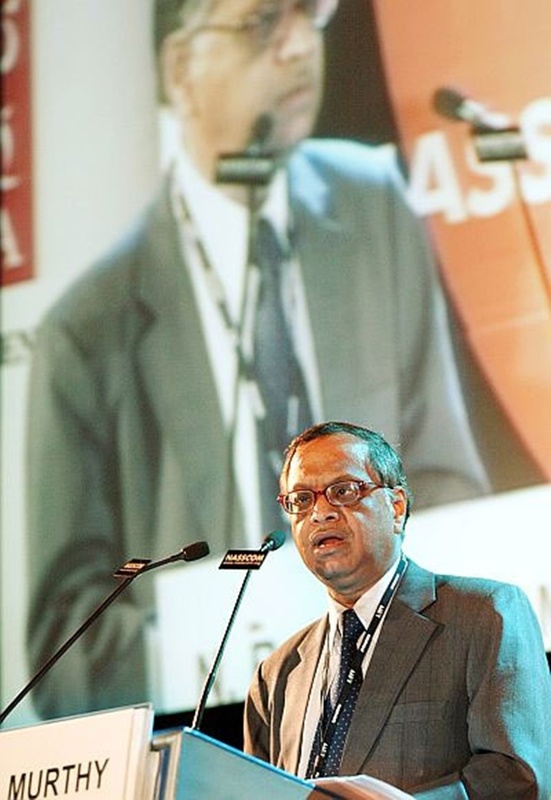 Will Narayana Murthy succeed in his second innings?